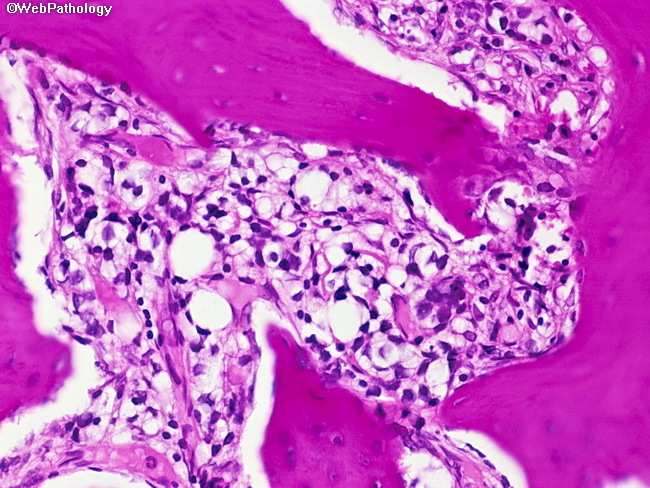 This image shows metastatic prostate cancer with hormone effect in the bone marrow of a 72 y/o male. The tumor cells (center of the image) show prominent cytoplasmic clearing secondary to androgen deprivation therapy received by the patient. Most prostatic adenocarcinomas are hormone dependent and majority respond to some form of androgen deprivation.